UCLA Extension Humanities and Sciences offers a large selection of courses and certificates to help you take the next step in your career or personal enrichment. UCLA Extension’s Department of Humanities & Sciences offers an abundance of professional development courses, workshops, and conferences, along with numerous academic and specialized certificates in such diverse fields as sustainability, journalism, premedical studies, health care management, cosmetic chemistry, drug and alcohol abuse counseling, patient advocacy, interpretation and translation, nursing, and public policy. Additionally, we also offer a worldwide travel study program with recent trips to China, Korea, Mongolia, Peru, the American Southwest, and Scandinavia. The Osher Lifelong Learning Institute at UCLA (OLLI at UCLA), is located in our department, and enables retired and semi-retired individuals to continue their studies as avid lifelong learners. There is also an extensive variety of degree-credit and transferrable courses including chemistry, statistics, economics, history, literature, psychology, and languages, among others. Our degree credit courses can be transferred to undergraduate degree programs throughout the country, enabling students to qualify for transfer to four year schools while earning units toward their degrees, or used to satisfy requirements for professional schools or graduate programs. Our enthusiastic and engaged staff, and knowledgeable, experienced instructors, are always eager to assist students with their educational and professional goals as well as their personal development. 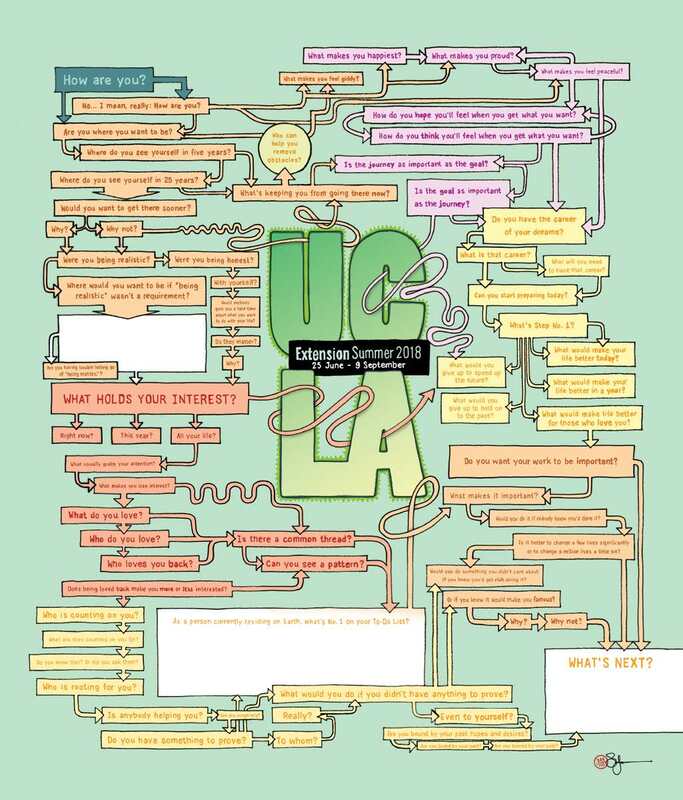 Visit the UCLA Extension website by clicking on our catalog cover for PDFs of our entire catalog.